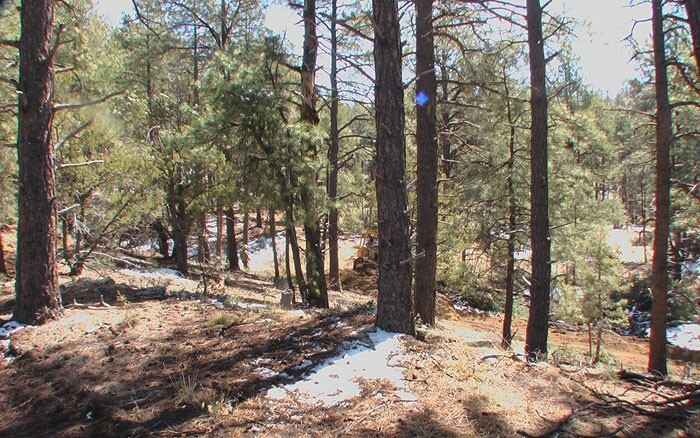 Prescott land for sale in Arizona with tall pines at 7000ft in the mountains just 8 miles from downtown Prescott whiskey row. 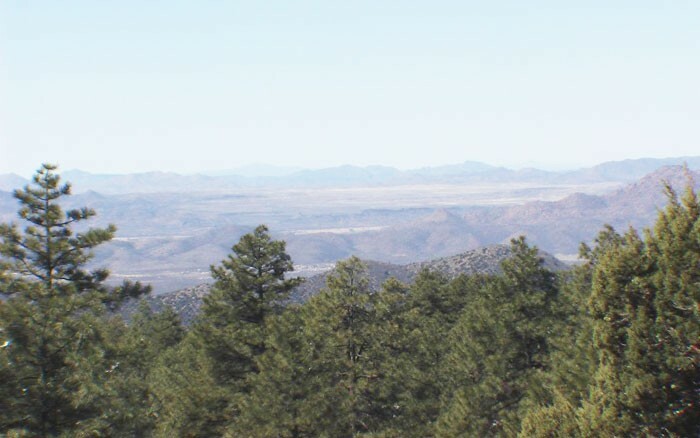 This spectacular view Prescott mountain property has 2 to 14 acres available which is located high in the cool ponderosa tall tree pines at 6,700 to 7000 feet only minutes from downtown Whiskey Row in Prescott, Arizona. 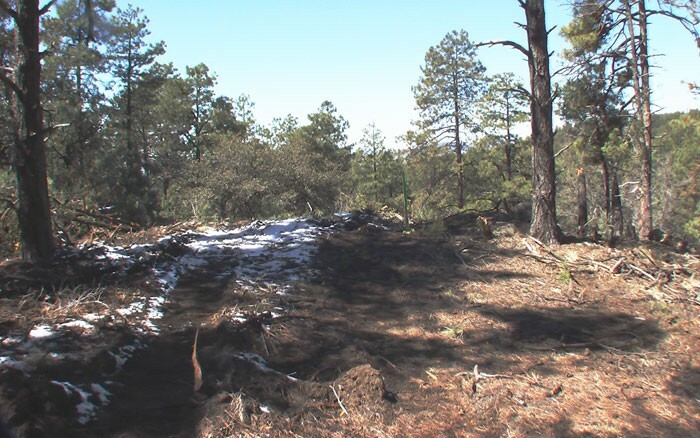 A rare panoramic scenic Prescott land for sale has pristine tall pine tree acreage and is situated just off Copper Basin Road and thumb butte road only 5 miles from US Highway 89 then 2 miles from center of historic downtown Prescott. 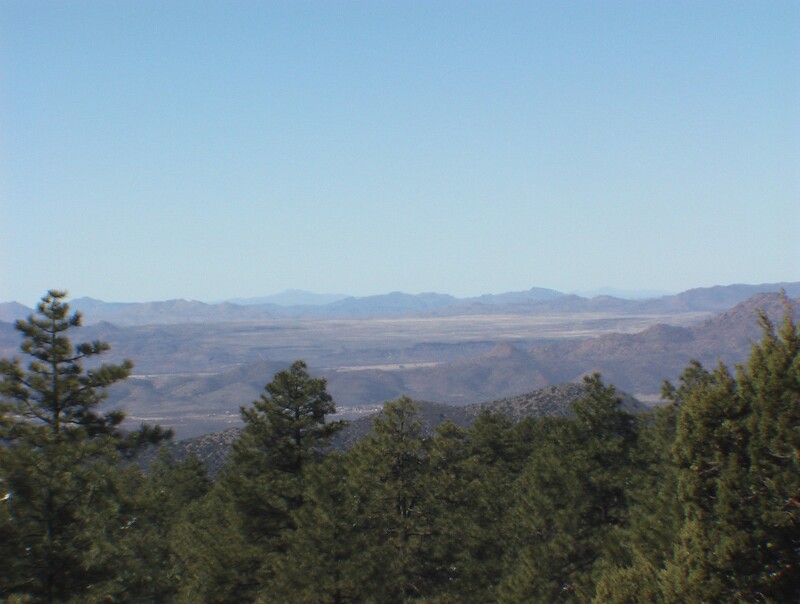 It is located in the old Calvary Springs area overlooking the Skull Valley basin with spectacular 30+ mile, panoramic 180 degree views and surrounded by 1000’s of acres of U.S. national forest. 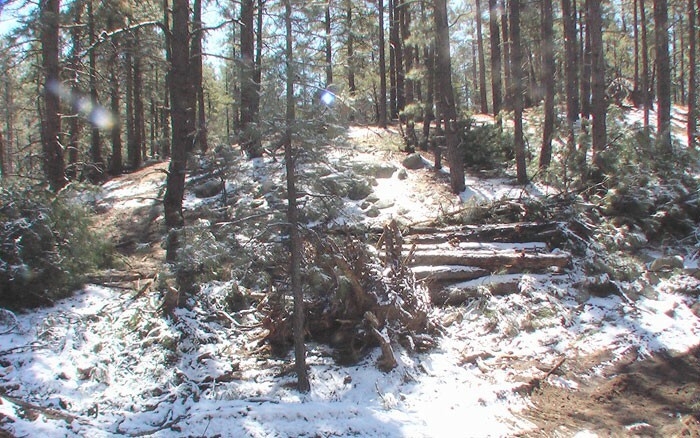 This pine tree mountain setting is suited for a Prescott luxury estate property. 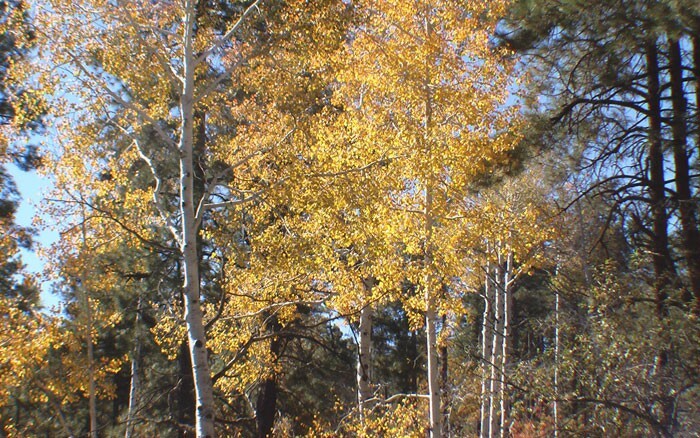 Surrounded by national forest land, these ponderosa tree ranches are home to deer, elk, squirrels, bear and many native bird species. The mountain property lends itself to a Prescott exclusive custom home or log cabin home retreat as well as a mountain horse ranch setting. The Prescott area has very limited cooler temp. 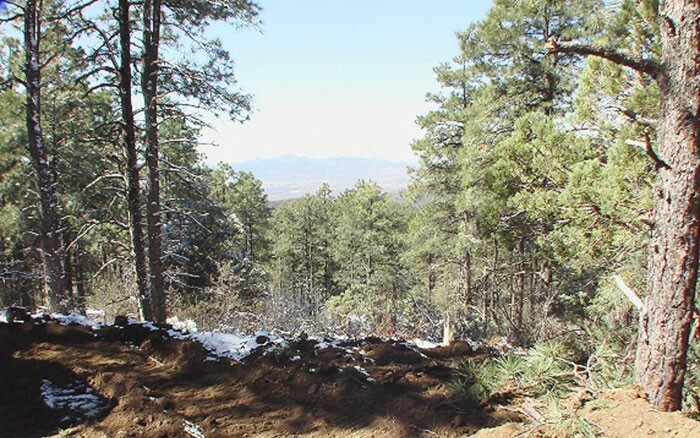 high mountain tall pine tree estate land available for building a private horse property site. 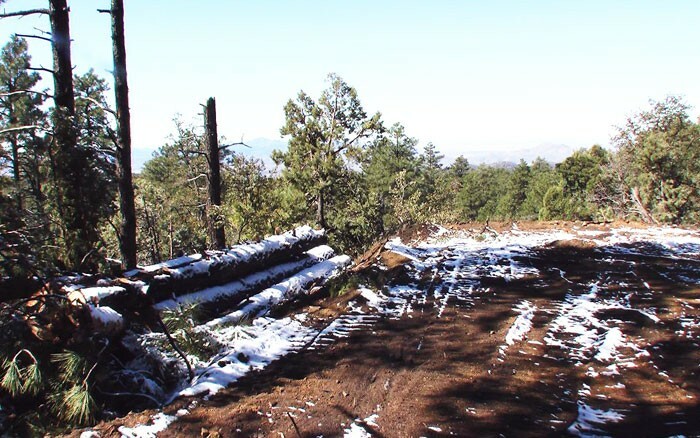 The Prescott luxury view property would lend itself to a custom multi-story log or stone cabin ranch home due to the nature of the hilltop settings that makes up this ponderosa pine tall tree forest land. 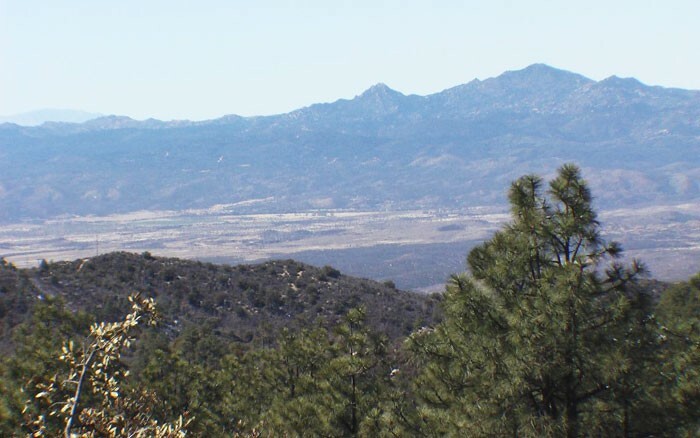 Prices for this ranch land for sale in Prescott start from $159,900 per 2 acres with on 5 left up to 14 acres that are available. Nestled in the conifer forests of the Bradshaw Mountains, Prescott is a historic city boasting much in the way of adventure and culture. Golfers flock to its six pristine courses, while outdoors enthusiasts find exciting hiking trails, secluded picnicking spots and adventure on the waters of its five lakes. Discover the history of the Old West in the city’s museums, historic railways and the Pioneer Home Cemetery, where “Big Nose Kate” Elder, wife of Doc Holiday, found her final resting place. There are dozens of fascinating things to do in Prescott, AZ – picking just one of the area’s Arizona visitor attractions would be a shame! Choose from some of the famous tourist attractions in Arizona like Prescott’s Whiskey Row, the Old Courthouse and Courthouse Plaza or even Arizona visitor attractions in nearby Jerome, Phoenix, Sedona and of course – the Grand Canyon, the most famous tourist attraction in Arizona. For family-fun or grown-up adventures alike, check out nature and wildlife parks; authentic Western experiences; arts & science attractions; sightseeing opportunities; historical landmarks; state parks and recreation areas. 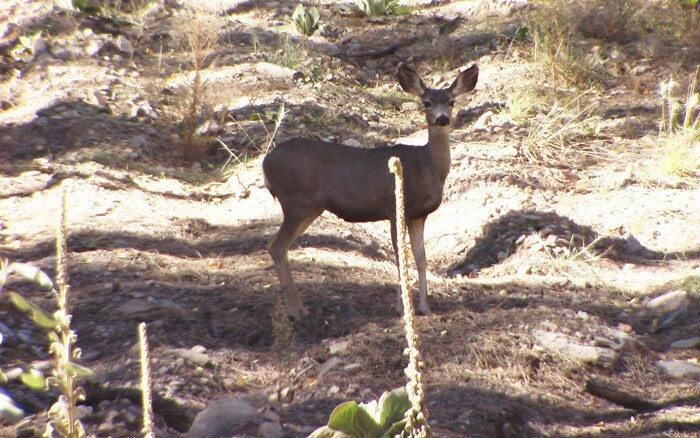 The fun never ceases at these Prescott Arizona visitor attractions. The 100 block of South Montezuma Street in Prescott, Arizona has long been known as Whiskey Row, for the numerous saloons that once lined the street. Today, Whiskey Row hotspots include the Hotel St. Michael, Bird cage Saloon, Hooligan’s, and the Jersey Lilly. Since 1888 folks have come from miles around to see what the ruckus in Prescott, Arizona was all about. Every year that ruckus gets bigger, the contestants more daring and bold. It’s about time you came to the Prescott Frontier Days ®, Inc. 2009 World’s Oldest Rodeo ®. We’re the worlds oldest, and we’re happening June 29 – July 5, 2009. Tickets on sale now! Tim’s Toyota Center (TTC) is a $25 million multipurpose facility, seating approximately 5,100 for hockey, soccer and football and up to 6,200 for concerts. The facility can also host boxing, basketball, rodeo, ice shows, and theatrical productions. Tim’s Toyota Center has 2,365 parking spaces, 397 club seats, 22 private luxury suites, and two party suites. It was designed and built to meet all ADA specifications to accommodate our guests with disabilities. 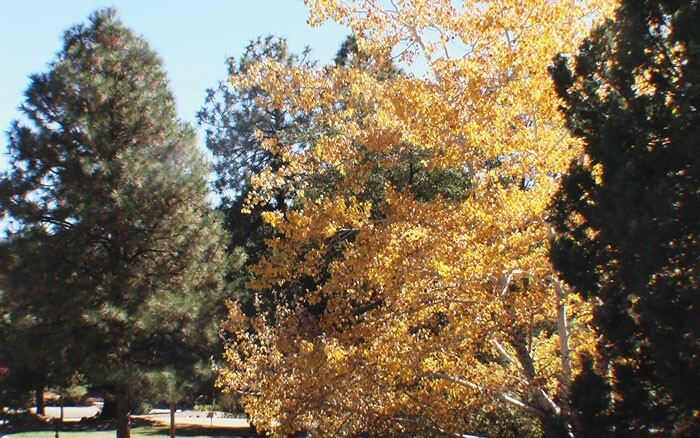 Prescott, Arizona is all about atmosphere and outdoor adventure. If canoeing, fishing and picnicking and hiking is your thing, there are several small, yet very scenic lakes in the Prescott area including Lynx Lake, Goldwater Lake, Watson Lake, Granite Basins Lake and the Willow Creek Reservoir. 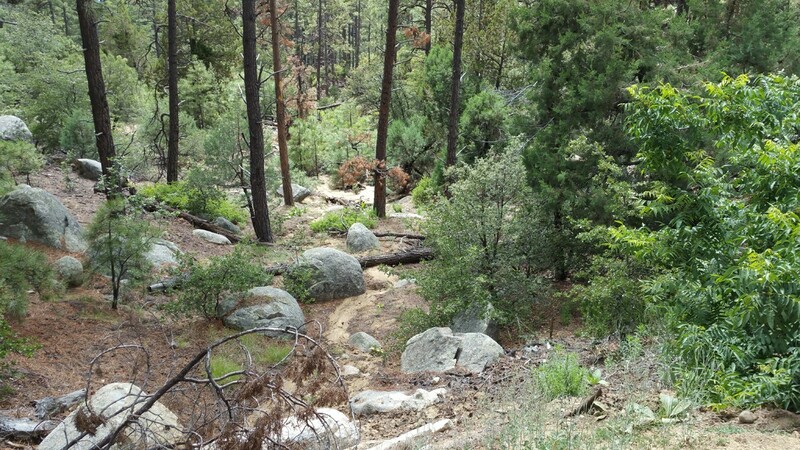 You’ll find easy hiking trails along the lakes and more adventuresome hiking trails deeper into the Prescott National Forest. The temperate climate offers year-round golfing at six outstanding affordable public golf courses and private golf clubs that feature luxury living in gated communities. Golfing in Prescott is particularly ideal during the summer months. During peak vacation season, there is an exciting special event almost every week during May through December. Attractions such as the World’s Oldest Rodeo during Prescott’s Frontier Days, the Arizona Cowboys Poets Gathering, the Shakespeare Festival, the Faire on the Square and a weekly Farmer Market. Just hanging out in the Town Square is fun watching people, street entertainers and watching outdoor movies. If you enjoy quaint and unique shopping, you’ll love Prescott. There are over 90 shopping places including antique treasures, boutiques, gift stores, jewelry crafts and Indian Arts. For more traditional shopping, the Prescott Gateway Mall and Frontier Plaza are just a short drive from downtown Prescott. Prescott becomes “Arizona’s Christmas City” when the holidays arrive. During December, the 19th century-built courthouse is bathed in a brilliant fountain of lights. One of the most popular highlights is the Acker Musical Showcase where one evening each year in downtown the merchants open their doors to host the area’s best entertainers. If your interests are culture, tradition and history, there are many “Passports to Culture” in Prescott including the Sharlot Hall Museum, Prescott Fine Arts Museum, Phippen Museum, Smoki Museum, Heritage Park Zoo an the Highland Center for Natural History. Combined with the over 500 buildings and homes on the National Register of Historic Buildings, there’s plenty of history and culture venues to found in Prescott, Arizona. Prescott is down home friendly. The old-timer natives still call it “Preskitt”. New residents and vacationers call it the cool summer escape from the hot weather in the desert cities. Emerging from its western mining roots in 1838, Prescott Arizona still maintains its old west flavor from its “rough and tough days” in the saloons of Whiskey Row, the natural stone buildings in historic downtown and the old Victorian architecture of the Mt. Vernon Historic District. Prescott AZ has more than 500 buildings on the National Register of Historic Buildings, and continues to make preservation a priority. What makes real estate investment in Prescott such a good bet? First, its location in Arizona, the second fastest growing state for the last several years, both in population numbers and in its economic climate. Prescott reflects the vigorous economy of the state as a whole, with low unemployment, high job growth, low interest rates. The supply of homes for sale in Prescott Arizona is growing, and the demand for Prescott real estate is strong. Prescott, Arizona, is an hour-and-a-half drive from Phoenix. The nation’s number one city for entrepreneurism, Phoenix recently moved up to the position of the fifth largest city in the U.S. A magnet for corporations and workers alike, with a research university and an educated workforce, Phoenix is also moving up as a center of advanced technology. And business people in Phoenix know Prescott for its superior mountain climate, a cool, clean getaway from the crushing desert heat and the crowding of the big city. As the baby boomers in Phoenix begin to retire, with their increased buying power, they’ll think of Prescott as their preferred Arizona retirement community. And Arizona’s tourism numbers increase every year, giving more and more real estate buyers from around the country a view of the real estate advantages of Prescott. Retiring baby boomers everywhere are looking for Arizona relocation properties. According to City of Prescott statistics, growth indicators specific to Prescott include annual increases in taxable sales dollars, postal receipts, new building permits, bank deposits, and net assessed valuation. MSN’s House and Home comparison chart shows Prescott’s projected job growth as more than twice as strong as the national projection, and (just for comparison) 68% greater than that of Scottsdale, Arizona. Air and water quality in Prescott are high; the crime rate is low. In the Prescott AZ area homes appreciate about 5% a year. (Source: Prescott MLS median sales price average increase 1996-2002). Since this is an increase on a leveraged investment, your actual return is much larger. That’s what makes real estate such a great investment! Prescott draws visitors from all over the world to enjoy our unique setting, old-west history and enjoyable climate. Throughout the year there are a variety of events and activities so that no matter when you visit, you’ll get a chance to experience the many faces of Prescott and find out for yourself why Prescott is considered one of the top emerging metropolitan cities. Click Here for an events calendar of what is happening now in Prescott, AZ.